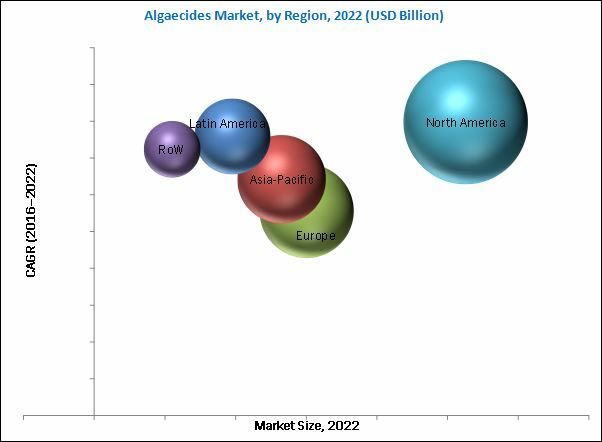 The algaecides market was valued at USD 1.81 Billion in 2015. It is projected to grow at a CAGR of 6.52% from 2016, to reach 2.79 Billion by 2022. The base year considered for the study is 2015 and the forecast period is from 2016 to 2022. The objectives of the study are to define, segment, and measure the size of the algaecides market with respect to its type, application, mode of action, form, and region. The report also aims to provide detailed information about the crucial factors influencing the growth of the market, strategical analysis of micro-markets, opportunities for stakeholders, details of competitive landscape, and profile of the key players with respect to their market share and competencies. This report includes estimations of the market size in terms of value (USD million). Both, top-down and bottom-up approaches have been used to estimate and validate the size of the global algaecides market and to estimate the size of various other dependent submarkets in the overall market. 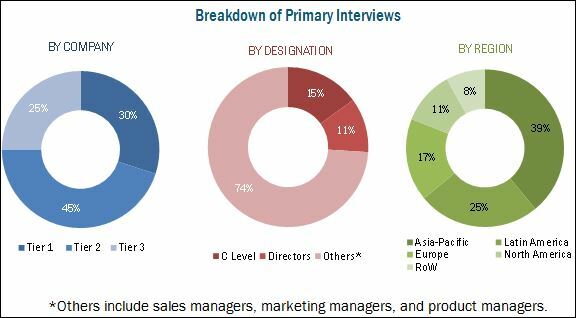 Key players in the market have been identified through secondary research; some of the sources are press releases, annual reports, and financial journals, and paid databases such as Factiva and Bloomberg. All percentage shares, splits, and breakdowns have been determined using secondary sources and verified through primary sources. The figure below shows the breakdown of profiles of industry experts that participated in the primary discussions. The key players that have been profiled in this report include BASF SE (Germany), The Dow Chemical Company (U.S.), Nufarm Limited (Australia), Lonza Group AG (Switzerland), UPL Limited (India), SePRO Corporation (U.S.), Waterco Limited (Australia), BioSafe Systems, LLC (U.S.), Airmax, Inc. (U.S.), and Oreq Corporation (U.S.).